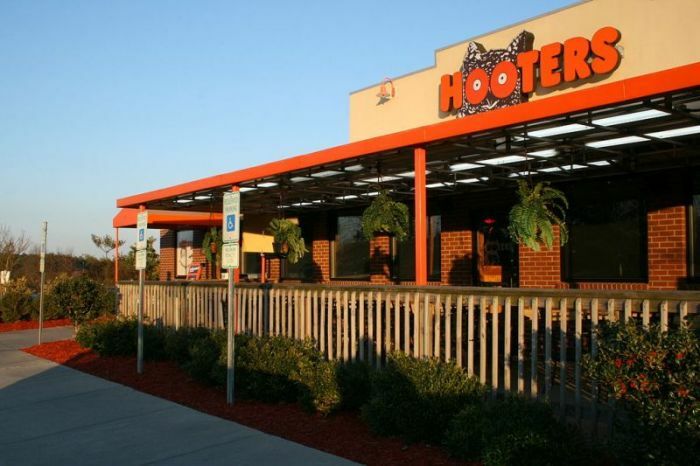 A Christian university in Texas is urging its students not to work at a Hooters restaurant scheduled to open about a mile-and-a-half from campus in the coming weeks. "We have asked students to consider both what Hooters represents and whether that is something they really want to support in terms of both their faith and the value this business model places on women," a spokesperson for Abilene Christian University, a private school affiliated with the Churches of Christ, told the local news station KTXS. The restaurant/sports bar chain, which is known for its wings and showing of sports and pay-per-view events, is looking to hire staff for the new restaurant set to open on Jan. 15. Hooters is notorious for hiring physically fit college-aged women as waitresses and asking them to dress in scantily clad tank tops and booty shorts. Although the ACU student handbook doesn't expressly forbid students from working at places like Hooters, the handbook does call on students to "glorify [God] in all things." "Our core purpose is to instill within our students strong moral character and wisdom-focused learning, manifested through Christ-centered living," the handbook reads. Additionally, the school's standard of conduct agreement calls on students to "lovingly confront and hold accountable members of the ACU community whose conduct falls outside the boundaries of Christian behavior, university policy, state and federal laws." "If a student was in a position where the university felt they were not upholding the standards in the handbook, we'd address those issues with that student at that time," the spokesperson told the news station. The university spokesperson was specifically asked how the school, which is a member of the Council for Christian Colleges and Universities and requires students to attend daily chapel services, would discipline a student who chose to work at Hooters. The spokesperson was also asked if it would discipline students who ate or watched games at the establishment. "All situations would be handled case-by-case," the ACU spokesman explained. "That's the information I have for now." A Hooters spokesman told KTXS that the franchise "is committed to supporting the communities in which we operate and prioritizes a welcoming environment for all of our employees and guests." "Over the years, Hooters has raised funds for numerous philanthropic initiatives, including raising more than $4.7 million for breast cancer research, and has provided more than $3.1 million in tuition reimbursement to its employees," Hooters spokesperson Sarah Osment said. "We look forward to serving the people of Abilene at our new location."